8 Fake Foods That Are Inferior Imitations Of The Real Thing. Store-bought foods are often mislabeled, misnamed or simply misunderstood. We’ve got the top 7 foods that aren’t what you think they are. Avoid the health scams and money traps, and educate yourself on what you’re putting in your mouth. 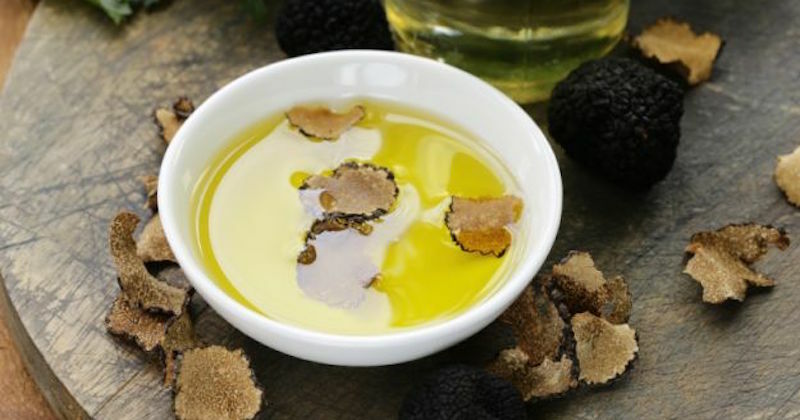 Truffle oil can be an expensive luxury. However, often times, it isn’t made from truffles at all, but instead with compounds like 2,4-dithiapentane (a petroleum product). In fact, the strong smell associated with truffle is because of this chemical compound, not the real truffles, which is known for its earthy subtle flavor. 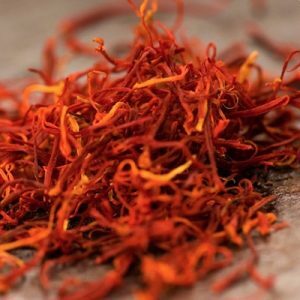 Running at $2,000 to $10,000 per pound, saffron is one of the most expensive spices on the world market. Since it takes over 70,000 flowers to create one pound of sold product, it’s no wonder that there are many fraudulent products on the market! Oftentimes, counterfeit saffron is simply dyed corn silk, safflower flowers, beet fiber or even red bits of paper. Don’t fall for the scheme. Before buying saffron, do your research on specific brands to ensure you’re purchasing the real thing! Cellulose is often used as a safe food additive for its anti-clumping properties. In safe amounts, cellulose at 2 to 4 percent is considered acceptable. 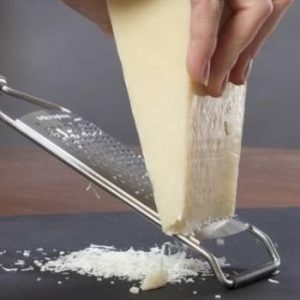 However, multiple brands of “100% Grated Parmesan Cheese” reached as much as 7 to 8 percent cellulose. This means that 20% of American produced-cheeses are mislabeled. Brands like Mrs Buttersworth and Aunt Jemima avoid the word “maple” in their maple syrup products to not face legal issues. 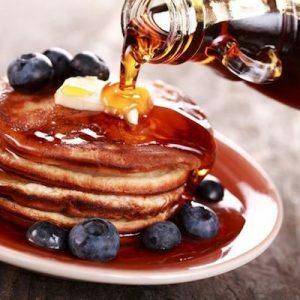 These products deceive consumers into believing they are consuming real maple syrup, however, according to the FDA, many of these products are simply water, processed sugar and food colorings. 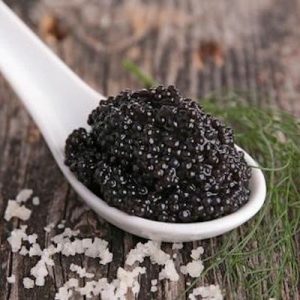 Traditional caviar is salted fish eggs, or roe, from rivers that feed into the Caspian and Black Sea. However, due to to overfishing and pollution, pure caviar is incredibly rare and have even become endangered. Today, many companies sell their fish roe under the caviar brand, when in reality, they are simply salmon or white fish dyed to create that deep black color. Those “bacon” bits you’ve been adding to baked potatoes or salads aren’t bacon at all. 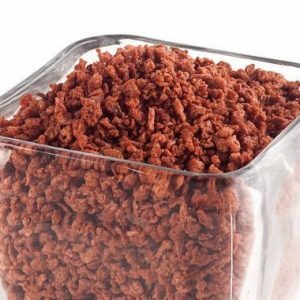 In fact, many bacon bits are simply pieces of flavored soy flour. Interestingly, this makes many conventional “bacon bits” vegan. While eating an actual pomegranate can be time consuming and tedious, reaching for pomegranate juice isn’t doing your body any favors. 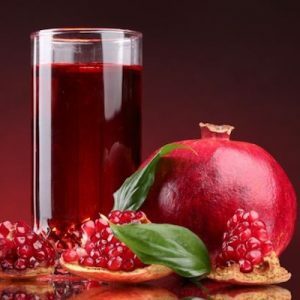 In fact, many pomegranate juices are are simply a mixture of diluted fruit juices. Be careful and don’t fall victim to false advertising! 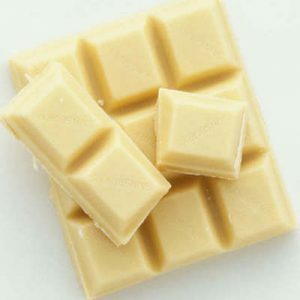 Common sense would lead us to believe that white chocolate, contains chocolate. However, in reality, it’s a blend of coco butter, sugar, vanilla, milk products and fatty emulsifying fillers. While it’s delicious, know that what you’re eating isn’t in fact white chocolate at all.